Travel to an imaginative world of dancing sugar plums, toys, and mice without ever leaving the city. The Children’s Ballet of San Antonio gears up for their upcoming premiere of The Nutcracker, which runs from Nov. 17-18 at the Scottish Rite Theater, and ARTS was there to capture every moment of rehearsal. We spoke to Artistic Director and Founder Vanessa Bessler about what it’s like being the new company on the block. 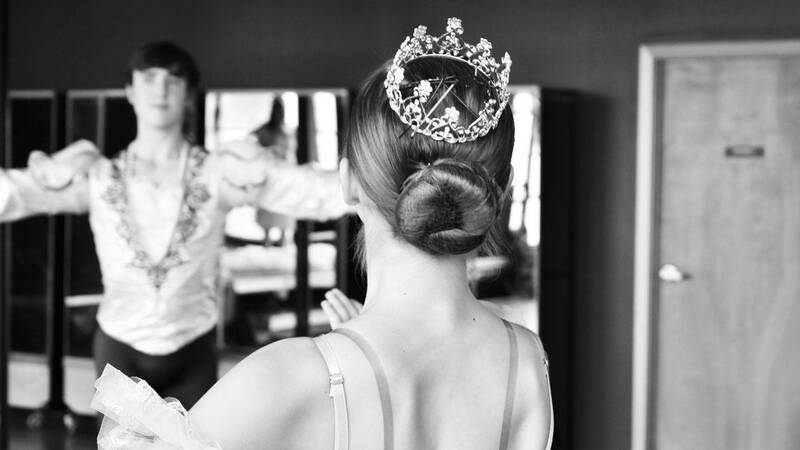 The Children’s Ballet of San Antonio may be a relatively new company, but it already has two productions under its belt–The Nutcracker and Sleeping Beauty. Founded in June 2015, Children’s Ballet of San Antonio company members join by audition or invitation only. Students between the ages of 7-18 are accepted, allowing for the dancer to transition into an adult professional dancer with the same company. This is unique to the company, as most professional dance companies don’t accept youth as permanent dancers. Youth as young as 8 are performing in lead roles, which is unheard of in other dance companies. The goal is to inspire and prepare children for a life of dance through extensive training and performance opportunities. Bessler has an extensive background as a former principal dancer with the National Ballet of Panama. Her studies at the Joffrey Ballet School in New York gave her the training and discipline needed to face the numerous challenges as a dancer while pursuing a professional career. The culmination of her hard work was proven after life at Joffrey Ballet School, when she trained at various locations like Panama, Cuba, Argentina, and Italy. Lending to her well-rounded experiences, she managed to earn principal roles in productions like Don Quixote, The Nutcracker, Spring Waters, and Dying Swan, among others. With over 15 years of teaching experience, many of her students go on to be accepted into professional companies and strong college programs. This episode of ARTS airs Thursday, Nov. 17 at 8 p.m. on KLRN.